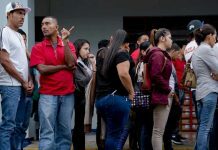 A group of 180 Costa Ricans are currently stranded in Cancun, Mexico, traveling from San Jose early Wednesday morning only to find that their hotel rooms are not available. 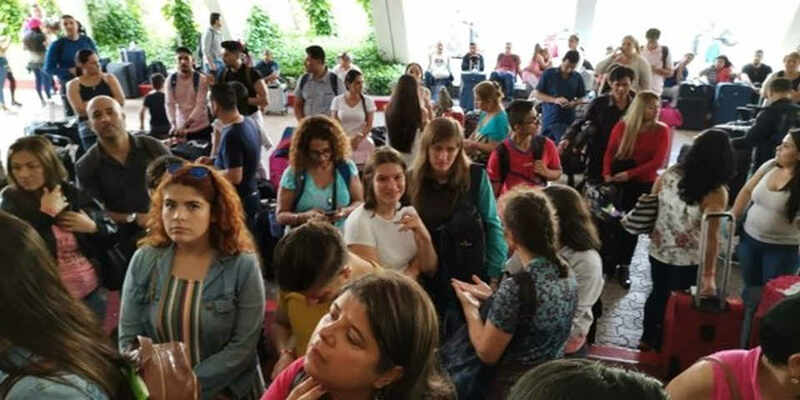 Some of the travelers on the trip organized by DestinosTV sent a note back to family members in Costa Rica, telling of their ordeal, while the travel agency assures that the situation is based on peak travel conditions. On the social networks the version of the Ticos in Cancun, however, is very different. “That’s a lie. I can assure you that of the 180, none have received a key to a room. Moreover, I had to book at another hotel nearby because I am with two elderly and two children and we had more than six hours to be there without answers,” said Maureen Campos, one of the affected. 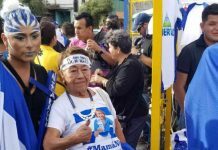 The Tica said that although the flight to Mexico and the transfer from the airport to the hotel were punctual, upon arrival at the hotel, the staff of DestinosTV in Mexico abandoned them. “They met us at the airport and coordinated the transfer, but once we got to the hotel they disappeared. I wrote WhatsApp to my salesman (travel agent) and he did not answer and calls to Destinos say that they are working on that, ” she added. This morning a group of about 20 Costa Ricans, family and friends of the affected, were at the DestinosTV in Escazú to try to get answers. Elia Campos, who has her sister, parents and nephews in Mexico, told Telenoticias television news that a travel agency official explained that the problem was that the rooms were reserved but the payment was never made. “His name is Cristian Aragón and what he told me was that there was a problem because apparently the transfer (of money) was not made, I do not know if by mistake or what, but since the money did not arrive the rooms were not reserved,” she explained. This is not the first ‘situation’ of DestinosTV has faced problems. Last year, Costa Ricans to the World Cup in Russia, for the ones who were finally able to travel, faced problems with hotel rooms and their return flight. Dozens were never able to make the trip due to problems with outgoing flights.